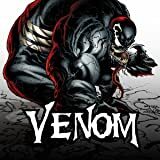 Collects Venom (2011) #27.1 & 36-42. 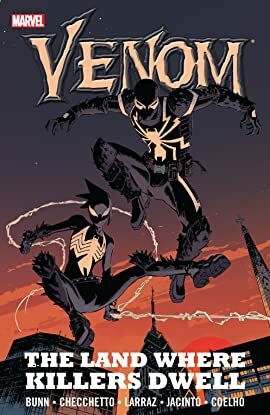 Venom hits the town for some old-fashioned crime-busting — but this crime busts back! Introducing underworld boss Lord Ogre! If Venom's going to be the super hero Philly deserves, he's got to do it right — but he knows zip about how to start. And to make matters worse, Lord Ogre declares war! A hit has been taken out on Venom's life — and killers are flooding Philly to collect! How does Flash protect himself while trying to hide his secret identity from Katy Kiernan? Even in tough times, every super hero needs a sidekick. But is Marvel's newest symbiote-powered character, Mania, a hero or villain? As Venom and Mania tackle Lord Ogre, Crossbones and the DOA, Flash and the symbiote have a heart-to-heart. But what is Daimon Hellstrom's role in all this? Plus: Flash Thompson confronts his past as a bully – and makes a momentous decision about his future!